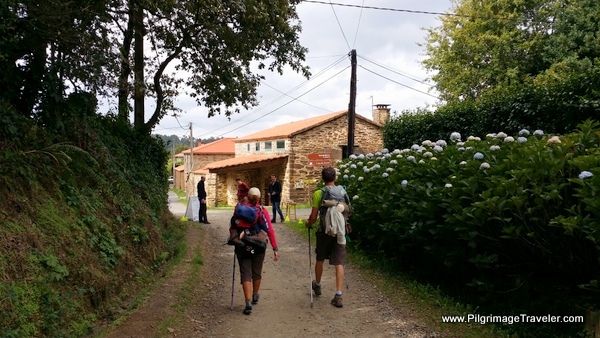 On day twelve of our Camino Primitivo, we were able to arrive in Lavacolla, only 10.3 kilometers from Santiago de Compostela! It was our last full, hard day and my heart was so full of gratitude that I thought it would burst. 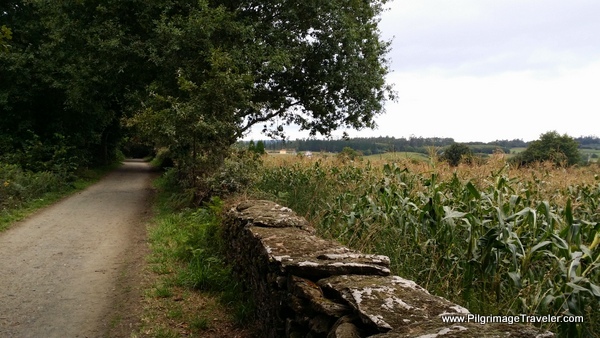 Below is our interactive Google map that covers our day twelve on the Camino Primitivo. 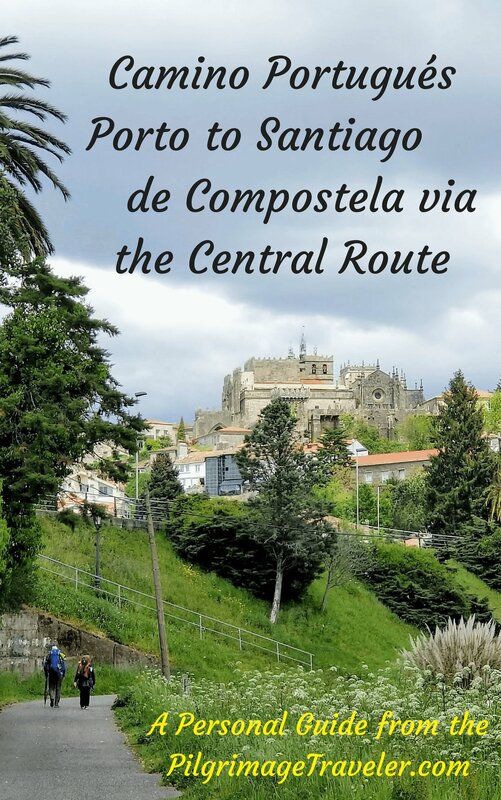 The route, once again follows the N-547 very closely, to the north and/or the south, until it reaches the Municipality of Santiago de Compostela, or the Municipio Santiago. 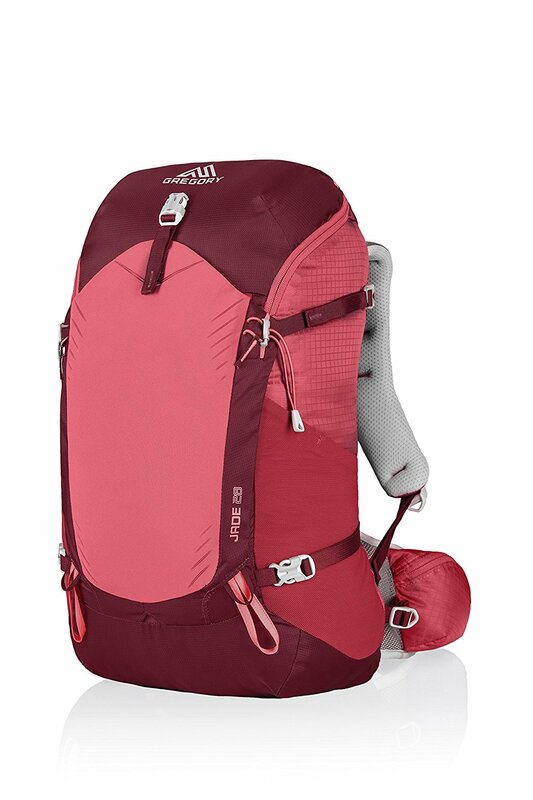 The route is very straightforward, well-signed, well-traveled and well-serviced, as you would expect. The services I placed on the map for your reference are plentiful indeed as you can see! Here are the elevation profiles for the day. As you can see from the first map, the day consists of gentle ups and downs. 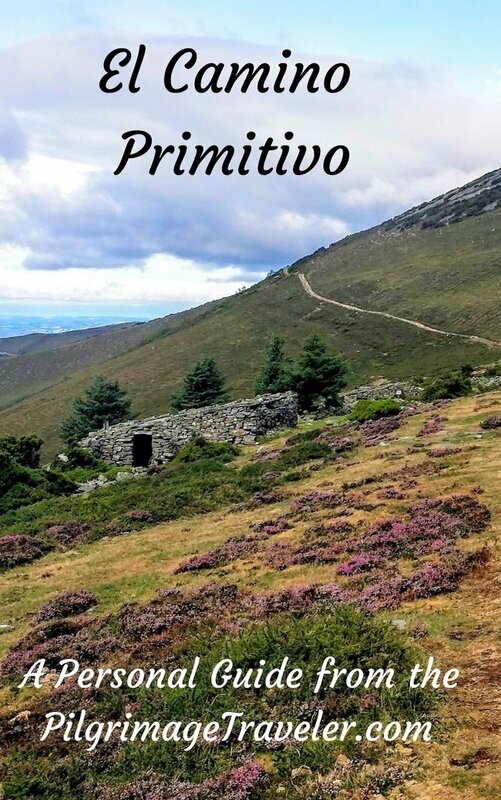 After Armenal, on the second map, there is a 100 meter climb (320 feet) that does not feel that strenuous, especially after the rest of the Primitivo! 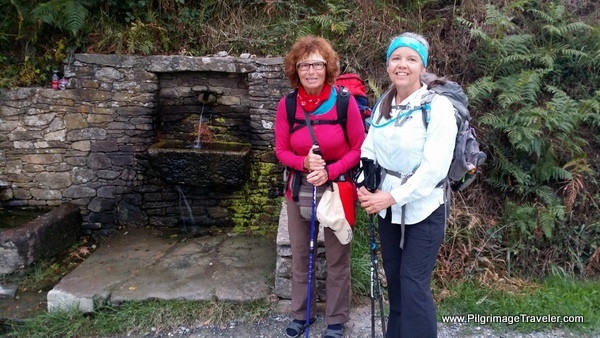 While this stage was long, we felt energetic and fit, and wanted to get closer to Santiago, so that the noon pilgrim's mass was obtainable on the last day. 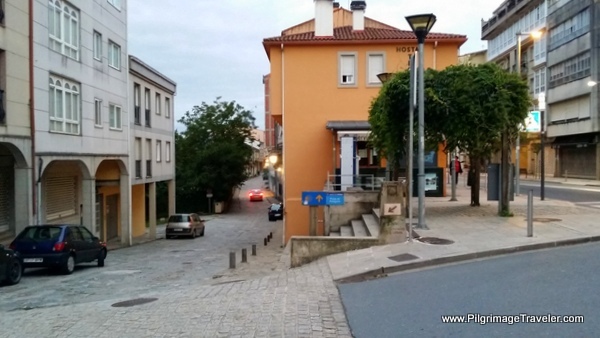 This is where our Camino began, in the morning at 8:00 a.m. We met Glyvia at the church, the Capela da Madalena, in the center of town (not pictured) and agreed to walk with her for the day. It was a cool September day, but no rain. The forecast was for 50-60 degrees all day. Perfect camino walking weather. So far, in 12 days, we had no rain! I voice-journaled the significance of this, and how enormously grateful I was for this wonderful blessing! My left foot still hurt, as it had for several days, so I took an Ibuprofen, after eating breakfast, to start off. 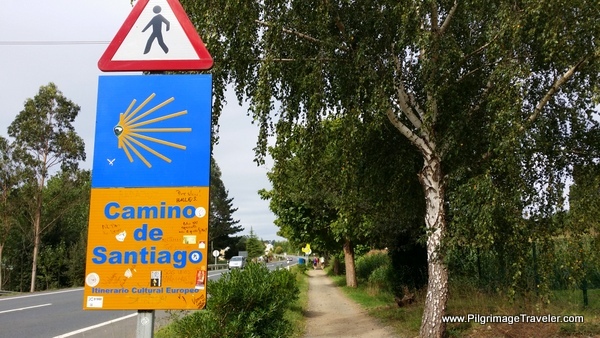 I was worried about a stress fracture in my foot, but with only 37 kilometers to go to get to Santiago de Compostela, in no way was I stopping now. I had plenty of time to rest after the Camino! My knees were holding up really well. For me, the combination of hiking poles, which take 30% of your weight off your knees, and my knee supports worked really, really well. 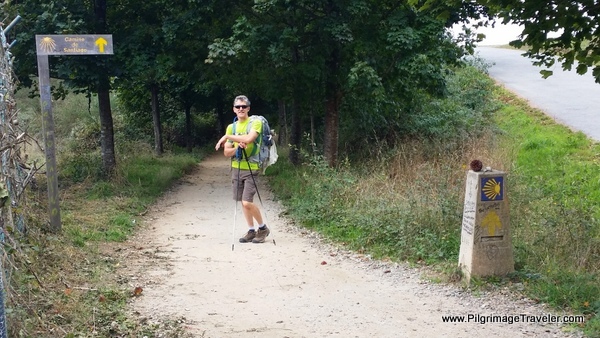 With continued determination, only hours from Santiago de Compostela, I walked on! I set my intention to walk lightly and use my poles as much as I could. 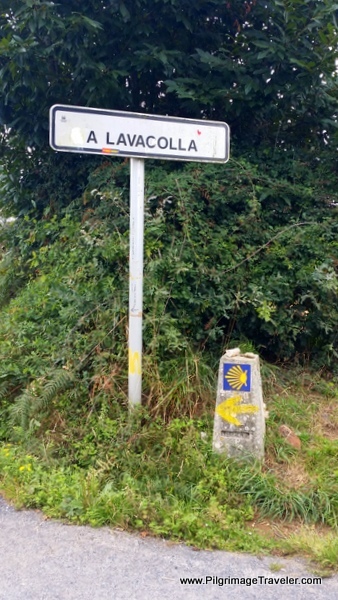 Our goal for day twelve was to reach Lavacolla, only about 28 km away. Shortly after leaving the main part of town, we came upon this sign, below. Two sisters were giving out sellos (stamps for your pilgrims passport) and had set up a table with lots of literature on the Camino and the Catholic church. My husband, always the social butterfly, who can speak to absolutely anyone (despite his lack of Spanish, and the fact that he is not even Catholic), wedged himself between the two nuns for a photo! They giggled and smiled and posed so pretty! 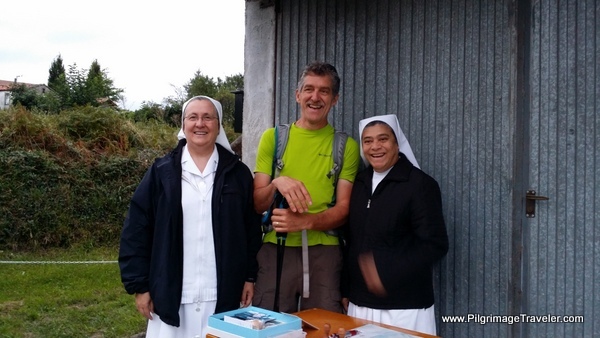 After the visit with the sisters, I felt so much love for the supported camino. 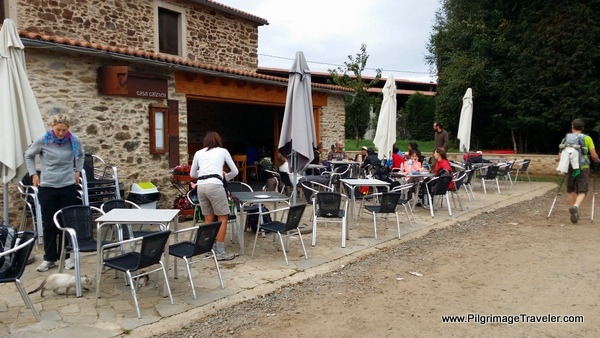 Most likely we wouldn't have found this table on the remote Camino Primitivo in any time or season. It felt really good to me, this community that we're all in together. 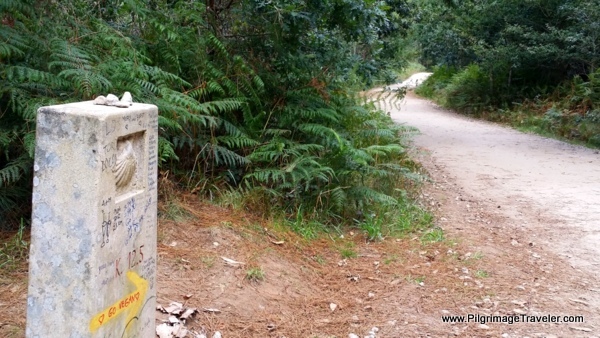 Today, I was grateful for the Camino Francés! My community spirit also spilled over onto Glyvia who was obviously so grateful for having us with her today on her Camino. She was so animated as she walked and talked, her big mop of curly hair flying around, her hands gesturing in the air, and the big smiles on her face! In many photos today, it looks like I am following to the rear of Glyvia and Rich, when in actuality, I had merely stopped to snap the photo. Later that morning on the road to Pregontoño, we captured this sight: rays of light peeking out through the clouds. It was a gorgeous and life-affirming sight. We paused several minutes to breathe it in! Not quite ten minutes after crossing the bridge, we came to the town of A Calzada and the café bar, Casa Calzada. 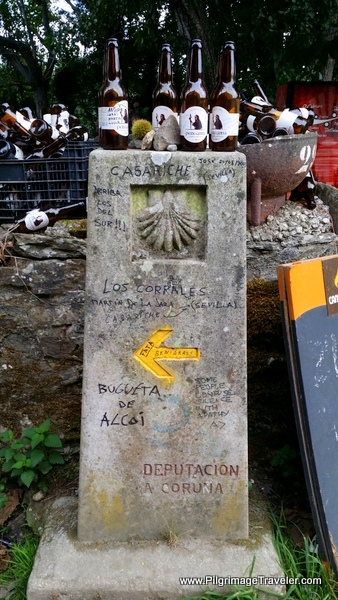 This is a great pilgrimage stop, right along the Camino in A Calzada. Since we had only been on the road an hour, we didn't stop. 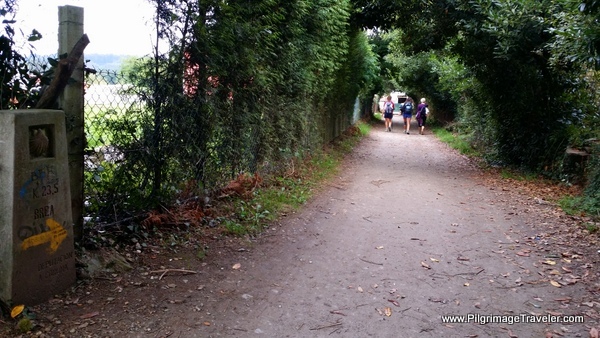 It was as just after 9:00 a.m.
On day twelve on the Camino Primitivo, once again, we walked into tree-lined paths. Here is a photo of some of the many pilgrims traveling along with us. 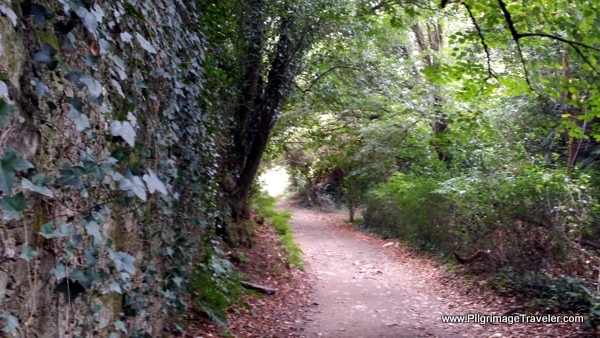 It is mostly a wooded lane from A Calzada to the next town of O Calle. 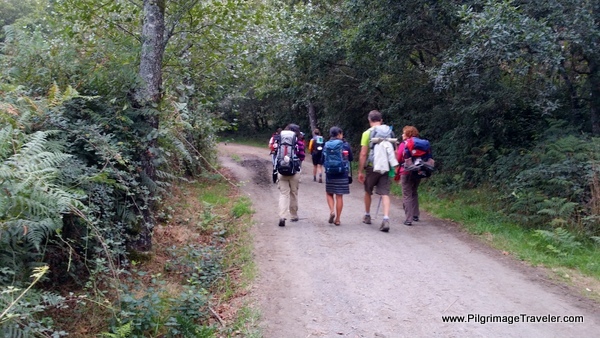 For me, I was truly enjoying this final, full day on the Camino Primitivo. I was excited to be almost there, excited to be with friends, and just excited all around. We had enjoyed a beautiful sunrise. Plus the paths here were very protected, shaded and on very little pavement. I was so very grateful for this! I walked more slowly with Glyvia who was keeping a slower pace. We graciously stayed with her throughout the day. We were taking our time on these final steps. We were very close. The waymarks with the kilometer countdown were coming every 1/2 kilometer now. We knew that O Pedrouzo was a possible pinch point for beds, so we obtained a reservation for Lavacolla, about 8.5 km farther on. 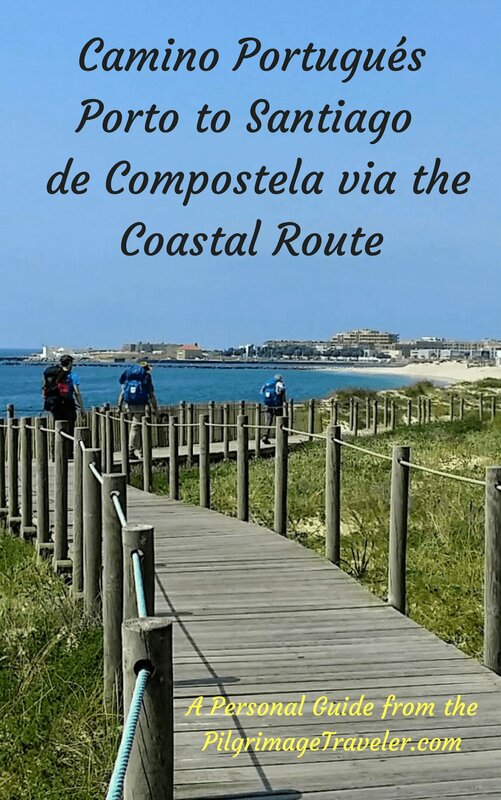 Our goal was to make it relatively close to Santiago de Compostela and Lavacolla fit the bill. The plan was to saunter into SDC in the morning, in plenty of time for the noon pilgrim's mass. 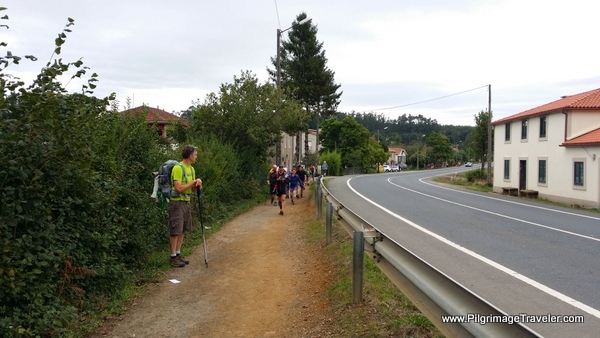 There really was no reason to hurry on this day twelve of our Camino Primitivo, despite seeing, many, many pilgrims. Many of them were hobbling as we passed by! One young woman looked terrible and could barely walk. With only 30 km to go, we knew she would make it, somehow. The cutest little café bar was in A Calle, below. Again, it was early in the morning, around 9:30 and we did not stop. Should have had a café con leche, I suppose, but the three of us laughed at the beer bottles lined along the stone wall, and carried on. I couldn't resist snapping a photo of the beer bottles, with a pilgrim emblem, sitting on the waymark, and signed by the persons leaving their bottles. Interesting tradition. 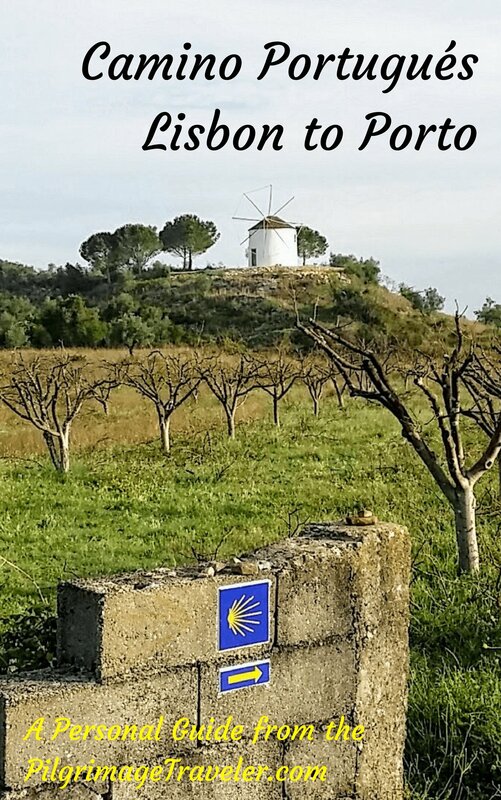 You may want to plan your day twelve on the Camino Primitivo so you arrive here at happy hour, or at least by noon to leave your contribution to the collection! The next town along the way is Outerio. 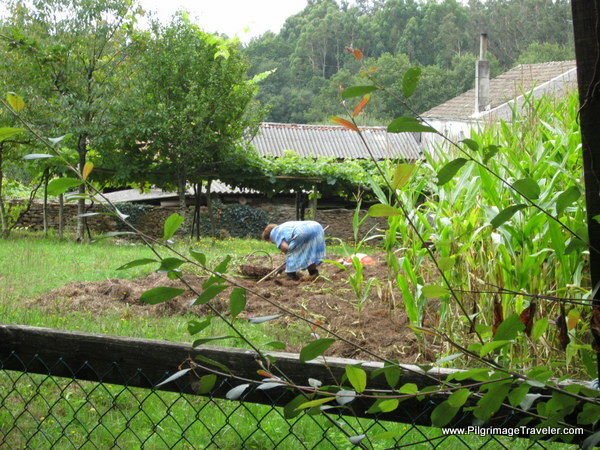 Here is an irrigation area called the Riego de Igrexario. It is a photogenic place. 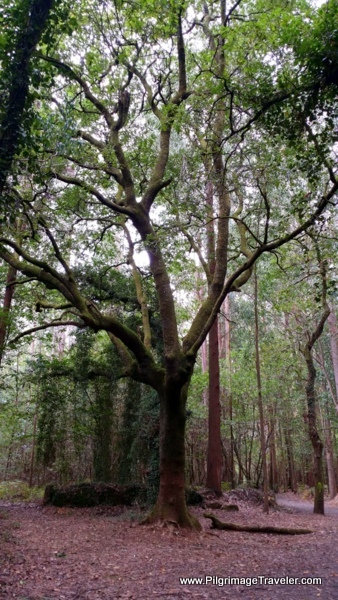 From Outeiro to Salceda, the Way is very rural on back country paved roads, that are wonderfully tree-lined for most of the way. 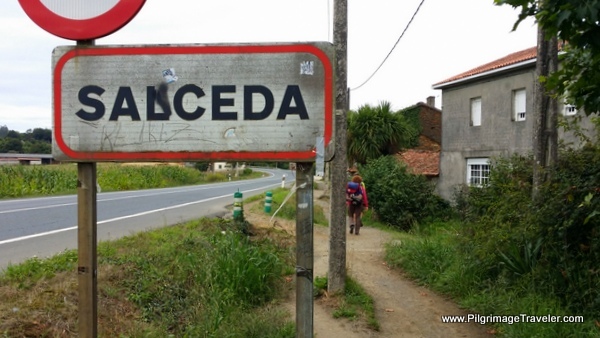 In Salceda the Camino joins the N-547 where it walks on a strong path to the side of the road. 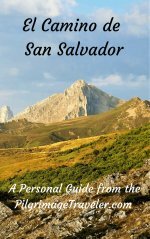 There are actually several places to stay here in Salceda, click here to see them. After a brief diversion from the N-547 in A Brea, shown above, the Way rejoins the highway, to walk about 3.2 km into Santa Irene. There are more accommodations in A Brea, the Casa San Miguel, Pension The Way, and the Pensión O' Mesón Cafe-Bar. 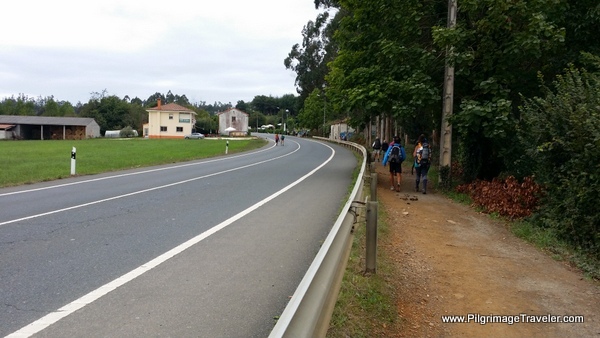 The Camino always walks to the side of the highway on a nice path. Here is a sign warning motorists, that the French Way crosses the road to the other side, near Cerceda. Just before reaching Santa Irene, at a crossroads, we finally stopped at the Cafe Bar Andaina for lunch and a café con leche, always! We chose this place because it has an outdoor seating area, but I failed to snap a photo of it. You can't miss it on the north side of the highway. 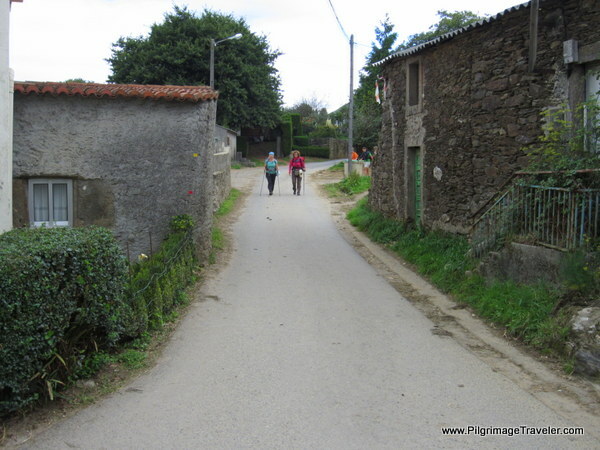 On day twelve of our Camino Primitivo, the Way turns to the right after the intersection to walk to St Irene, but sticks close to road on a side path. There are many facilities in Santa Irene, if you want to avoid staying in the more common stop of O Pedrouzo. There is a municipal Albergue de Peregrinos de Santa Irene and the Alojamiento Santa Irene. 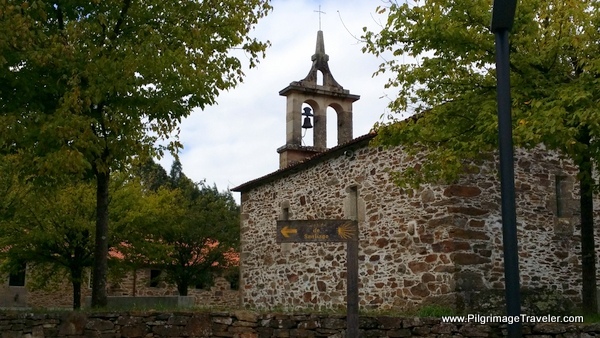 It is worth it to take the diversion off-Camino a few meters in Santa Irene to see the ruined chapel there, the Ermita de Santa Irene, if you have time. There are many crossings back and forth on the N-547 in this area, so please exercise caution whenever you cross! There are not always well-marked crosswalks, and sometimes it is very difficult to see the oncoming traffic, and vice versa! After passing through Santa Irene, you leave the N-547 behind! 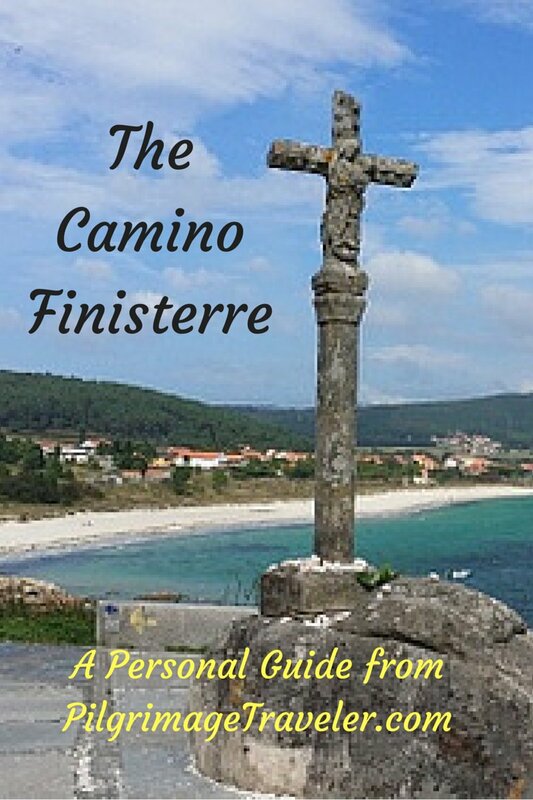 The Camino Primitive avoids the town of O Pedrouzo almost altogether and walks to the north of it on quieter streets. 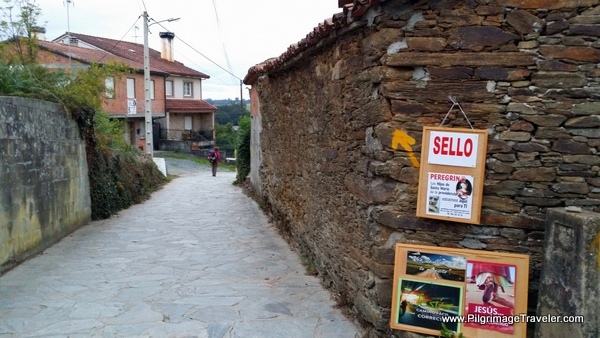 If you are staying here, you must take a detour off the Camino to go into town. 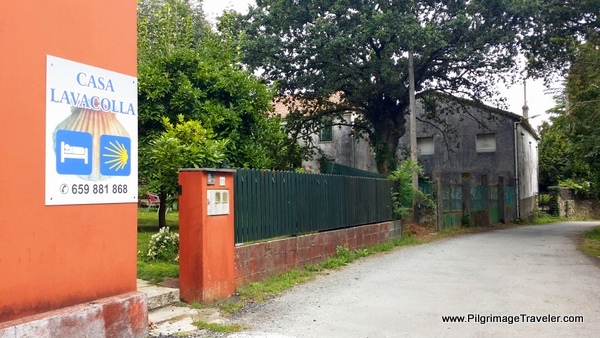 There are an amazing number of accommodations and other services in O Pedrouzo! Check out our Google map above, and click here to see all the possibilities! Upon reaching the O Pedrouzo area, we parted ways with Glyvia in Santa Eulalia de Arca. She had a reservation in town and didn't want to go any farther. 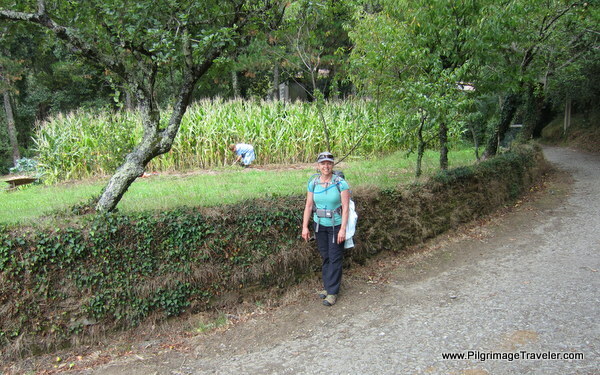 Mostly all the pilgrims stopped here on their day twelve on the Camino Primitivo. It felt like we were essentially going onward alone. 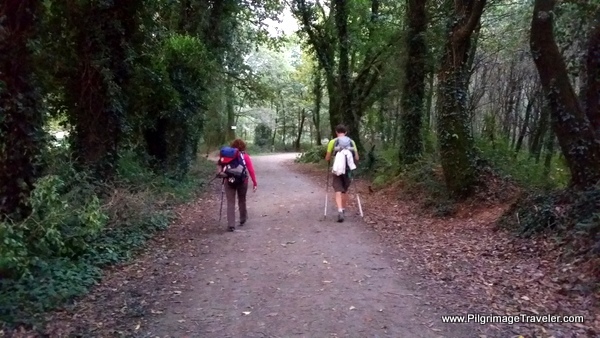 We said our goodbyes and promised to meet up in Santiago de Compostela, the next day! so he could get this one! Ah yes, the classic gardening pose! 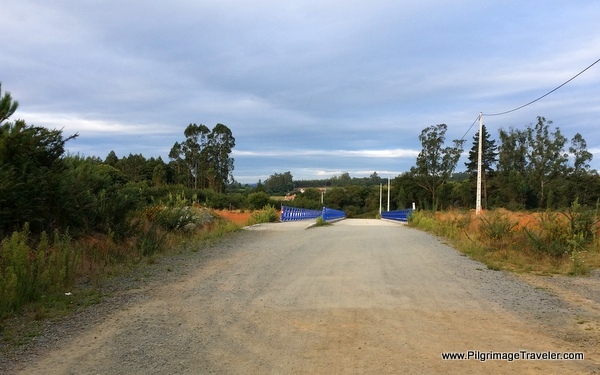 On day twelve, the Camino Primitivo crosses under a bridge on the N-547 in O Amenal and to the south side of the highway as it heads westward toward the airport then diverts northward to Amarelle as it skirts around the airport. Lavacolla is on the other side of the Santiago airport, to the west. We were a little worried about staying in a place next to planes flying in and out, but not so much, as it was only for one night. We certainly were relishing the mostly flat way and we were still in the forest, yay! By this time I was longing to see airport, for then I knew we would be close. Even though we were walking close to the airport on the eastern side, you could barely notice it. After walking to meet the N-547 in Amarelle, to the northeast of the airport, the N-547 becomes the A-54 at a large traffic circle, where you walk to the south side of this circle on a gravel path, and come upon this sculpture, below, that marks your entrance into the municipality of Santiago de Compostela! The grin is large, on Rich's face! You continue to skirt around the airport, first along the A-54 to the north of it, but on a nice path to the side of the highway. When the Way leaves the A-54, it turns left on a another path, to stay off the main road. Below is a photo of this pleasant diversion. This path continues to skirt the airport, on a southerly direction, but now on its western side. 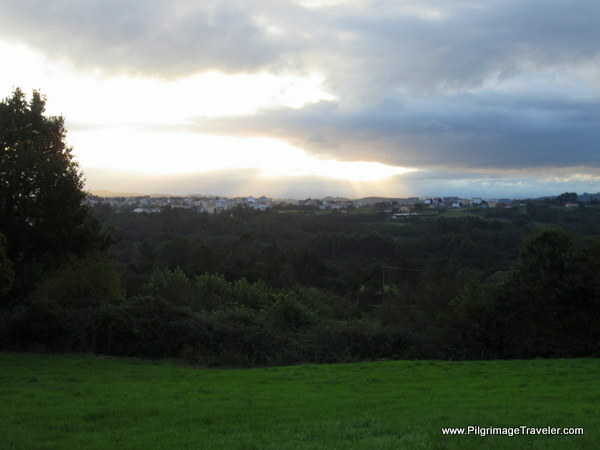 In a short while, the Camino turns right, to the west in the direction of San Paio. As we walked into San Paio, we were greeted by the Casa Porta de Santiago, a nice little bar. It was there where we stopped for a break. Instead of visiting the bar, we climbed into the field next to it, to eat from our pack. Here is where we ran into Mattias, again, a member of our Primitivo family, who joined us in our break. Prior to heading back to the road, Rich bought a bocadillo to go, since we were approaching the "witching hour" when the bars closed down for siesta! Rich walked on with Mattias, chatting for a way. 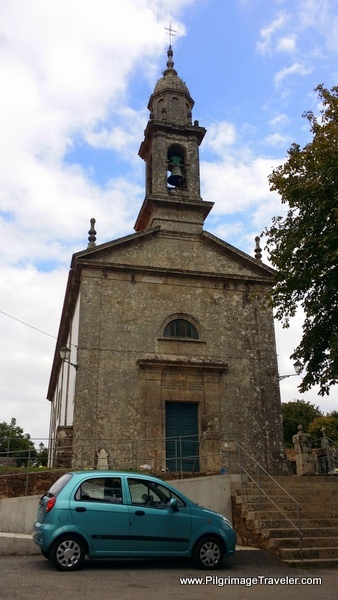 I lingered at the charming little church in San Paio, photographing it and breathing in my deeply held gratitude for the Camino, my personal journey and my health, strength, and stamina! I was so grateful to be here, and I thanked God for the many, many wonders of the journey! 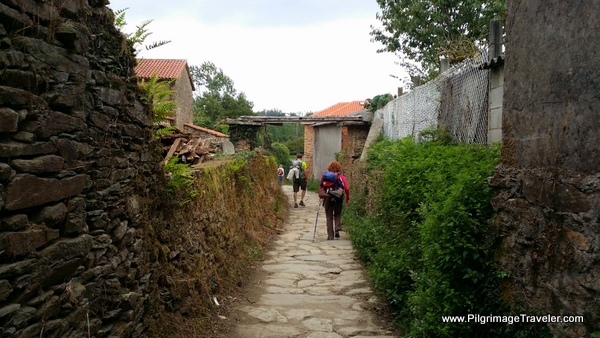 On day twelve, the Camino Primitivo then turns southwest on paths and off roads to walk into Lavacolla. 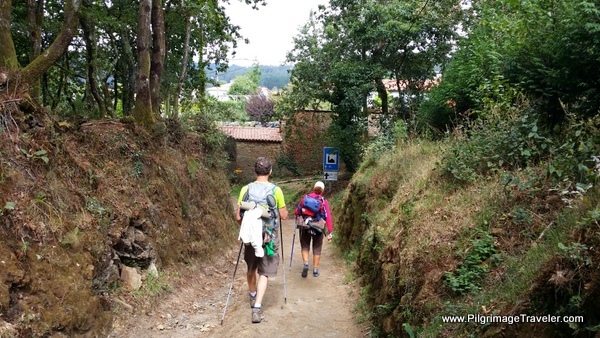 As all afternoons on my Camino de Santiago, the final few kilometers seemed to take forever! At last the sign announcing Lavacolla appeared! Even after seeing the Lavacolla sign, the Camino winds its way through town quite a ways, until the church in Lavacolla comes into view, below. 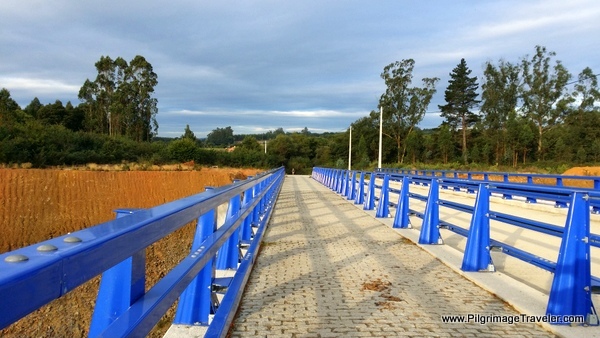 There are stairs from the church that lead downward to a nice, central plaza, some bars and the river, the Río Sionlla. 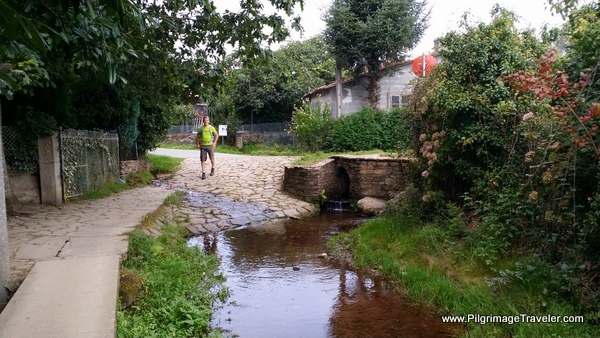 It is by this river where historically, pilgrims stopped to bathe before entering Santiago de Compostela, in order to be clean. This fact, rather refutes the notion that the botafumerio in the cathedral of Santiago de Compostela was originally swung to cover the stench of unbathed pilgrims! According to Glyvia, there is not much to see of the river in Lavacolla, and it is not so nice a place. From what we could see, the plaza and park were pleasant enough, but the river was barely discernible for the modern bridge and highway crossing it. 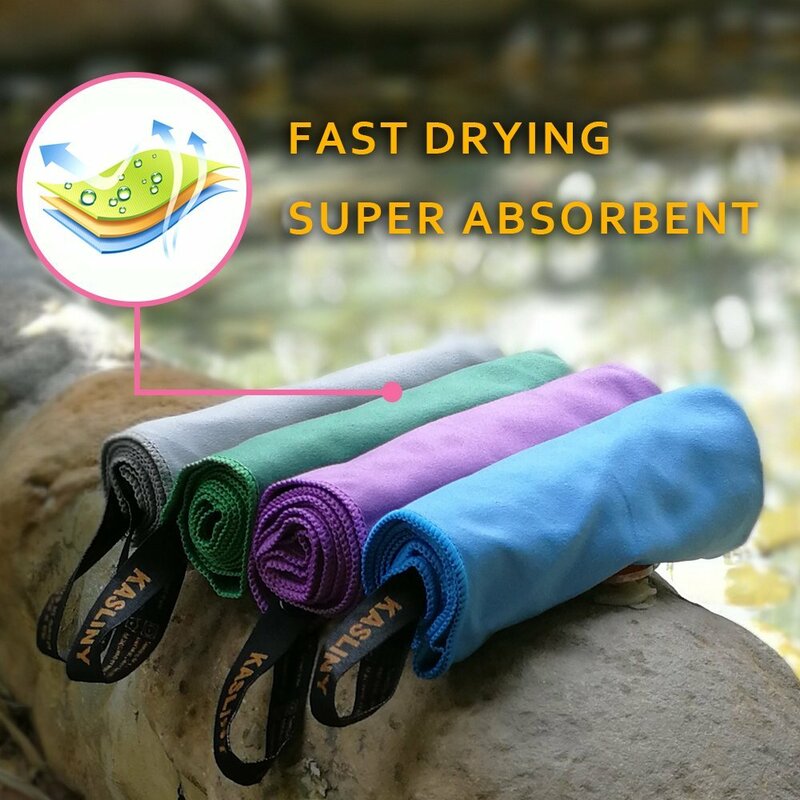 There was no access to the river, for bathing, that we could tell! So, Glyvia was right. 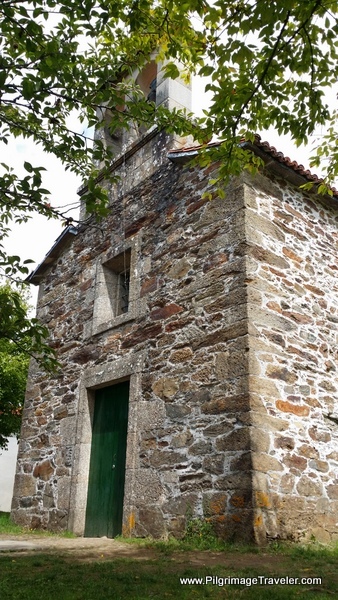 Modern pilgrims do stop here to reflect on their Camino, especially at the chapel in town. 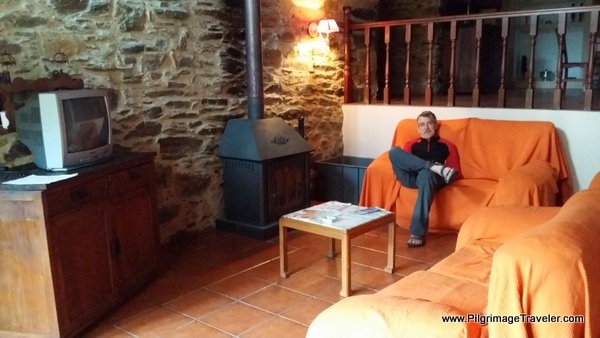 There are actually quite a few places to stay in Lavacolla. After showering and resting in the room, we stopped by the bar Botana, on the plaza by the river. It was a charming and friendly little place. 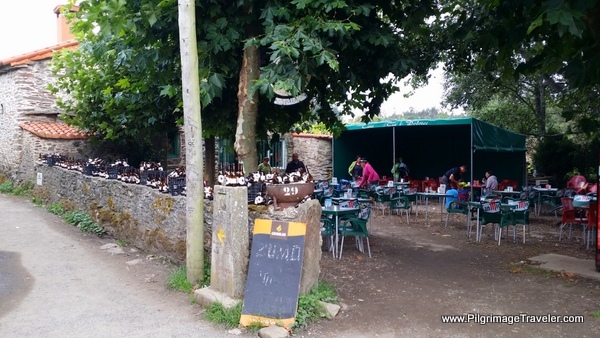 The food was very reasonable and we shared a shot of Scotch whiskey, 100 Pipers, to toast to our arrival, 10 kilometers from Santiago de Compostela. As it turned out, we had the entire Casa Lavacolla to ourselves. It is a home, turned hostal, and is a very beautiful, old stone building, very comfortable with kitchen, dining and living rooms. We had the double, ensuite room, and it was very economical. Here is Rich, in the living area. For more pictures of this comfortable accommodation, see the link, above. Rich cooked me a wonderful dinner in the kitchen of the Casa Lavacolla. It was very fulfilling to have a home-cooked meal of our choice. It was amazing that such a luxurious place on the French Way in early September had no one else staying there but us! I guess this is what you find when you don't do the traditional stages! It was appropriate, that here we were, at the end of our day twelve on the Camino Primitivo, in the town of Lavacolla, a place for reflection. As we spent our evening, alone together, the two of us talked extensively on what our journey meant and how it had impacted us. We were both so very grateful that we had the ability, the time and the resources to even make such a journey a possibility. For us, gratitude was indeed wrapped up in happiness and wonder! Our entire journey was filled with happiness and wonder, despite the many hardships, the body pains and the culture unfamiliarities. 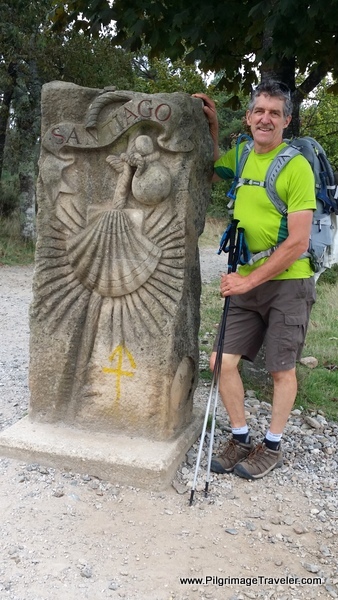 My favorite Camino days were day five on the Hospitales Route and day eight, with the ancient standing stones. While each and every day brought special sights, special feelings and lessons, these two days stood out to me. Both Rich and I were amazed as we reflected on how much this Camino brought so many of us together in a way that could never have happened otherwise. 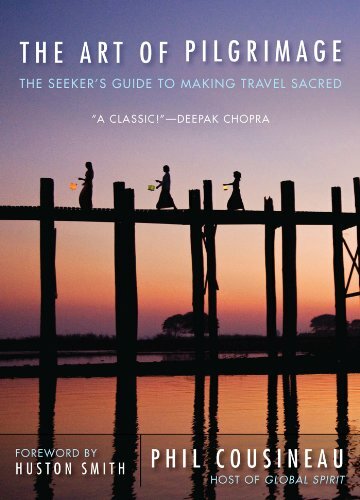 While we both walked together the whole way, or mostly with other pilgrims, we were able to experience the inner journey as well. No great lightning bolts of insight occurred, nor any great revelations. It was take it all as it comes, stay present to the experience and never stop moving forward. Never did I ever feel like I would not make it. Many times I wanted to quit, but I did not. Quitting was not in the plan. 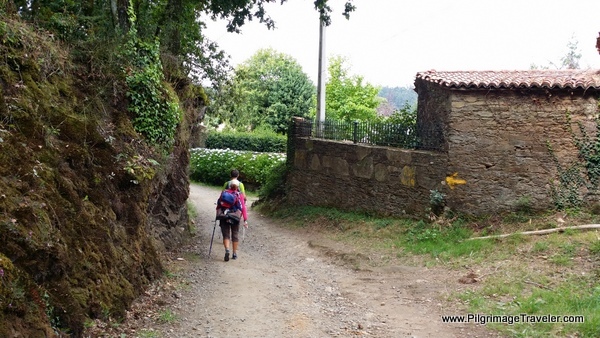 I was grateful to be close to the end, however, on this day twelve of our Camino Primitivo! May your own day twelve on your Camino Primitivo be filled with the happiness and wonder that brings great gratitude to your own heart! 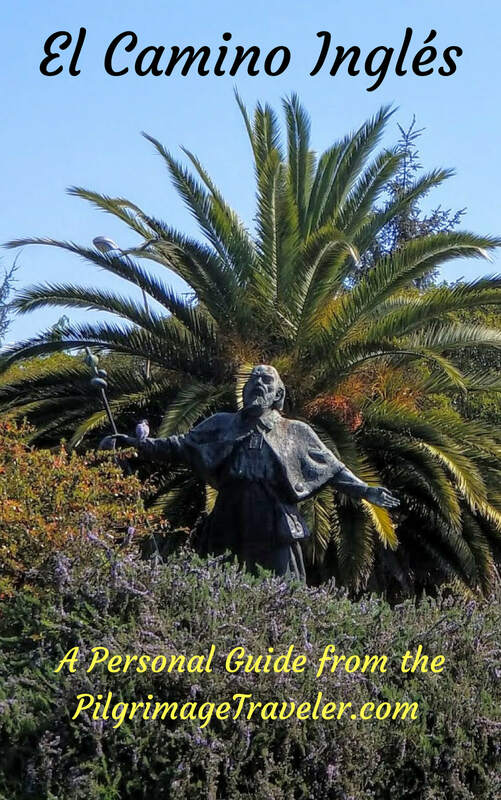 May you be filled with the gratitude that you made it, that Santiago is just a glimpse away now! Ultreia!